5 April 1930: The divine prophecy vouchsafed to the Promised Messiahas, “People will come to you by every distant track”, was manifested during his life many times. Interestingly, it continued to come true afterwards too. Qadian became a hub for people. One Dutch consul visited Qadian on this day on his way for Jeddah for his new appointment. Earlier, when he was stationed in Sumatra, Indonesia, the Jamaat’s missionary Maulvi Rehmat Ali Sahib introduced the Jamaat to him. Weeks later, he shared the impact staying in Qadian had on him, saying that he experienced nothing but righteousness and spirituality in Qadian. 6 April 1928: The central Shura of the Jamaat started on this day, which continued until 8 April. During the sessions, Hazrat Musleh-e-Maudra stressed the need of education for women. Moreover, he formed a special commission headed by Chaudhry Nematullah Sahib, subjudge from Delhi, to suggest measures to improve the services and efficiency of central offices of Sadr Anjuman Ahmadiyya. 7 April 1917: AnAhmadiyya Conference was organised in Qadian and meetings lasted for the next three days. 7 April 1920: Hazrat Musleh-e-Maudra embarked on his tour of Sialkot, which took almost one week to complete. 7 April 1934: Hazrat Musleh-e-Maudra inaugurated the mosque of Lyallpur, present day Faisalabad. Huzoorra led two supererogatory rak‘aat [units of prayer] and recited portions of the Holy Quran aloud. Huzoorra also delivered a keynote address. 7 April 1944: Hazrat Musleh-e-Maudra delivered a Friday Sermon and expressed his desire to hoist the flag of Islam in Spain. The same day, the Jamaat’s annual Shura began, but the atmosphere was filled with grief and sorrow due to the demise of Hazrat Mir Muhammad Ishaqra, brother-in-law of Hazrat Mirza Ghulam Ahmadas. Thus, Hazrat Musleh-e-Maudra paid emphasis on the preparation of new scholars in the community. In one of the sessions held under the presidency of Hazrat Sir Chaudhry Zafarulla Khanra, matters related to the security of Khalifatul Masih were discussed. 8 April 1921: Hazrat Maulana Abdur Rahim Nayyarra reached Lagos, Nigeria. He was a pioneering missionary in London and visited Africa. Before spreading the message of Islam in Nigeria, he had travelled to Sierra Leone and Ghana. 8 April 1934: Hazrat Musleh-e-Maudra spoke at two public meetings, and his wise words were later published under the title of Tabligh-e-Haq. On one such gathering, 6,000 individuals were present to hear his lecture. 9 April 1910: Hazrat Hakim Maulvi Fazl Dinra of Bhera passed away on this day. He was a childhood friend of Hazrat Hakim Maulvi Nuruddinra, also from Bhera. He had the honour to serve the Jamaat in various capacities, the final one being Mohtamim Langar Khana. 9 April 1934: After the inauguration of the mosque at Lyallpur (Faisalabad, Pakistan) and delivering an address for the general public, Hazrat Musleh-e-Maudra is reported to have made short stopovers in Jaranwala and Ahmadpur. 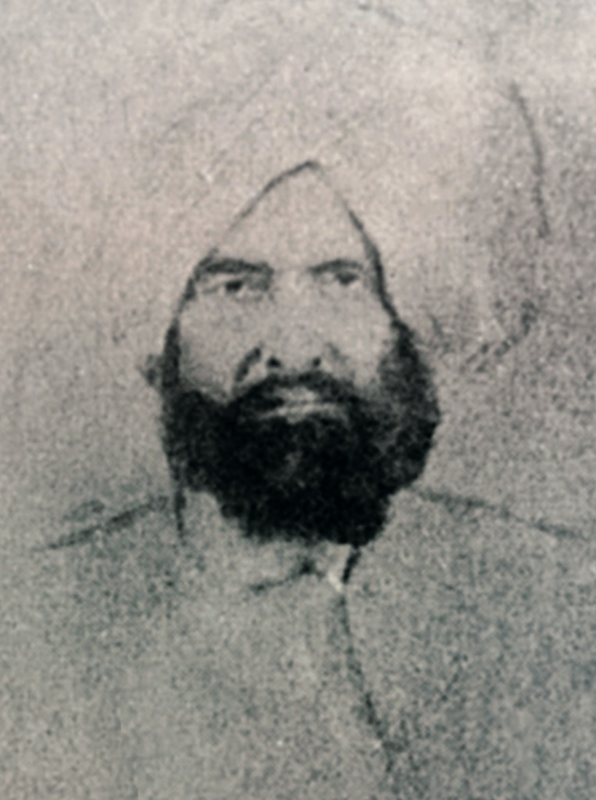 10 April 1914: Hazrat Musleh-e-Maudra presided the meeting of Sadr Anjuman Ahmadiyya for the first time. 10 April 1920: Hazrat Musleh-e-Maudra laid the foundation stone of Ahmadiyya Hall in Sialkot. 10 April 1936: Hungary had its first Ahmadi Muslim convert, Dr Julius. He entered the Jamaat from his Christian past. He was given the new Islamic name of Muhammad Ahmad Zafar. 10 April 1936: The central Shura of the Jamaat started on this day and continued for the next three days. During one session, Hazrat Musleh-e-Maudra formed a special commission headed by Hazrat Mir Muhammad Ismailra, this time to track flaws and deficiencies in the daily workflow of central offices of Sadr Anjuman Ahmadiyya. 11 April 1920: Hazrat Musleh-e-Maudra made a historic speech in Sialkot about Islam as the future religion of the world. 11 April 1936: Odisha (formerly Orissa), an eastern Indian state on the Bay of Bengal, is known for its tribal cultures and its many ancient Hindu temples. On this day, representative of the Jamaat, Hazrat Maulvi Zahoor Hussain made his speech during the All Odisha Religious Conference, which was held for two days. 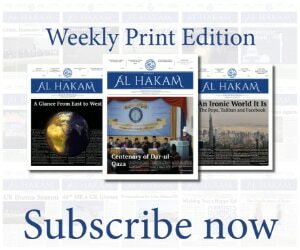 Two publishing companies: Al-Shirkatul Islamiyyah and The Oriental & Religious Publishing Corporation Ltd.